Do I need to retrofit my home? Am I living in an area prone to an earthquake? Was my home built over 25 years ago? Is my home built on a raised foundation? Is my home built on a hillside? Is there a living space above my garage? If you answered yes to any of these questions, earthquake retrofitting will make your house more stable in the event of an earthquake and could possibly save lives. When is the best time to have this done? Now! The recommendation is to JUST DO IT! There is a great peace of mind that our retrofit customers feel after we complete their house. We are local, efficient, detail oriented & care about our community. See what our clients are saying. On average, it takes about 3 days to complete a retrofit and our work does not usually interfere with your daily activities. First, we will assess your home to get an idea of how much the job may cost, as there are different variables to account for, such as if your home has a crawlspace or a basement. If the homeowner would like to proceed, they can then order an engineering report. Apex reviews the engineering report and creates a plan that will be submitted to the homeowner and then to the city for approval and permit. 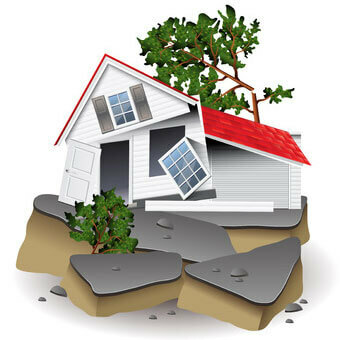 After the proper permits are received from the city, Apex can then start work on the earthquake retrofit of your home. After we install the Simpson Brackets (below), the city will come out and do a final inspection based on the plans that were submitted & approved. On average, it takes about 3 days to complete a retrofit and our work does not usually interfere with your daily activities. Serving Linn, Benton, & Marion Counties.